Our employees are constantly being trained. 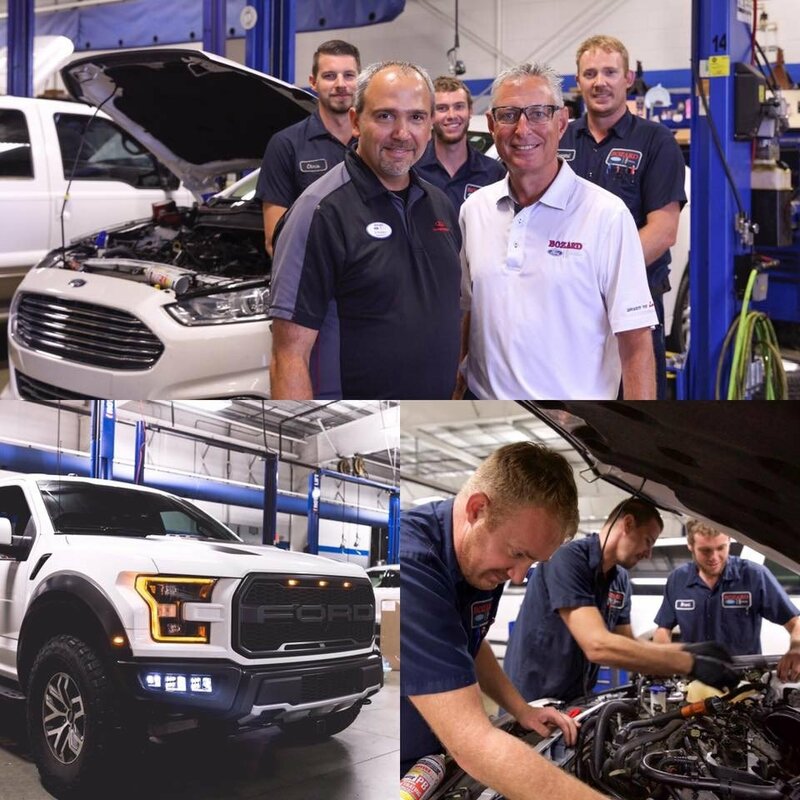 In fact, 75% of our technical staff has achieved Master Certification, the highest level of training available for Ford Motor Company Technicians. All of our Advisors have achieved Master Level Service Advisor Certification. Bozard has the highest rating in Customer Satisfaction in northeast Florida and the top 5% in the entire country. We try very hard and we appreciate our customers recognizing this. We have a new state-of-the-art facility with the very latest in diagnostic and repair equipment. Our Service Manager and Advisors have achieved top honors (#1) in the prestigious Employee Excellence Award for the Florida Region. This recognition is based on training, customer handling and customer satisfaction skills. We constantly shop our competition to ensure that we are your best value, so that you don't have to. By using genuine Ford and Motorcraft brand parts you™re assured of the best quality for your money. Our highly skilled and trained technicians assure that only the parts needed are used and that the parts are installed properly. We're built and staffed for speed and efficiency. Our 32 bay climate controlled service department was designed for efficiency to service your vehicle quickly. Our parts counter is located in the shop for fast access. We employ as many certified diesel technicians as most large metro dealers. PLUS...FREE CAR WASH WITH EVERY VISIT - JUST ASK!